Why Use a Mobile Responsive Web Design? 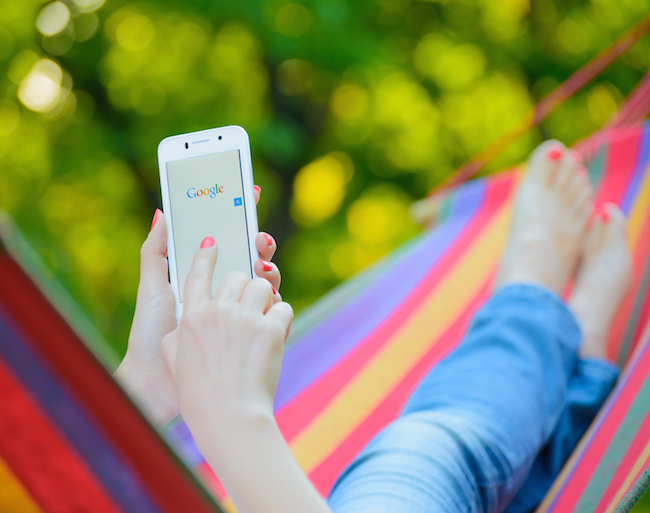 Ever since Google announced that mobile readiness was going to become a factor in how it ranked web pages, there has been much buzz about creating mobile ready websites. Sites that are unable to deliver satisfying content on mobile devices have seen their search rankings drop, and requests for mobile ready web designs have soared within the world of website development. There are now different kinds of mobile ready websites: Mobile friendly, mobile optimized, and mobile responsive. While each of these options allows for custom web design, and while each receives positive rankings in Google’s search results, responsive web design tends to be the best choice for most websites. Understanding its function, its advantages and disadvantages, and its best practices can help you to use it more confidently in your own web design efforts. Here is an overview of responsive web design and the role it can play in preparing your site for success. A responsive web design is one that changes depending upon the device being used to access it (i.e. smart phone, tablet, smart watch, laptop, desktop). The goal is to create a user experience tailored for the particular device the visitor is using. The changes a responsive website undergoes are deeper than simply changing the layout of the web pages (although adjusting the layout is one element of a responsive web design). Instead, the navigation, organization of content, size and type of images, and other elements of the site will also look different on each type of mobile device and computer. The goal of responsive web design is to accommodate not only the size of the device’s screen, but also the intention of its user. For instance, someone accessing a site through a mobile phone is likely to want information that will allow them to make fast decisions. As a result, a responsive web design will promote relevant content (such as purchasing information or contact information) on smart phones in order to meet the smart phone user’s needs. What is the difference between mobile responsiveness and other types of mobile design? As mentioned earlier, mobile responsiveness is only one choice among several for creating a mobile ready website. However, the options (mobile friendly, mobile responsive, and mobile optimized) are often mistakenly thought to be the same thing. In order to fully understand what responsive web design is and how it can benefit your site, you need to know how it differs from mobile friendliness and mobile optimization. Mobile friendliness refers to a site that works on every type of mobile device. However, the content and appearance of the site do not change in response to the device being used to access it. Instead, the site usually just shrinks to fit within the smaller screen size of the mobile device. A site that is responsive, on the other hand, adapts itself to whatever device is being used to enter it. For instance, a mobile friendly site might include a large image on the homepage and a navigation that requires the user to dig several pages deep to find purchasing information. A responsive web design, on the other hand, will minimize or eliminate that large image and move the purchasing information to the front-page navigation bar to accommodate the buy now impulses of a mobile device user. Mobile optimization refers to custom web design created specifically for mobile devices. Businesses that adopt this approach design two sites: One for mobile devices and one for desktop computers. The mobile optimized site is often a stripped down version of the full site, consisting mostly of the links that mobile users will find most helpful. You can tell that a site is optimized for mobile when it includes a link to the full site on the bottom. A responsive web design differs from a site with mobile optimization because it allows a single website to be used across all devices. This means that the same URL works on a mobile phone, a desktop computer, and a tablet. In addition, a responsive web design typically includes more site elements than does a site that has mobile optimization. A responsive web design will not be the right fit for every website. For instance, some sites (such as those whose traffic is less than 35 percent mobile) might be able to get away with a mobile friendly site. Others (such as e-commerce sites) that enjoy a great deal of business from mobile users, might benefit from a separate mobile optimized site. However, for the vast majority of websites, a responsive web design is the best choice. There are a number of reasons that a responsive design is well suited to most websites. One advantage of a responsive web design is the fact that you only need one website for your business. This single website can adapt to any screen size or device. Because you only need to design and develop one site, you save money on web development fees. In addition, you then only have one website to manage and update. The simplified management possible through a responsive web design saves you maintenance fees and content management headaches. SEE ALSO: How Much Does A Website Cost? A responsive web design is also frequently the right choice because of the flexibility it offers your site. With a mobile friendly site, you do not get any flexibility in the presentation of the website: The layout and content are exactly the same, regardless of how the site is accessed. With a site that has mobile optimization, you require users to deal with stripped down content that sometimes leaves them feeling dissatisfied. A responsive design avoids both of these problems. Instead, a responsive design adapts seamlessly to whatever screen your user has in front of them. 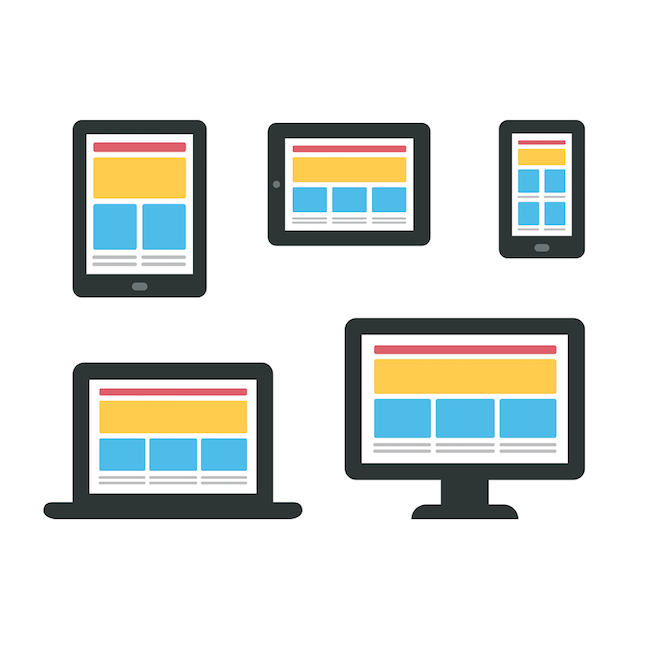 As a result, your site becomes equally accessible on all devices. Plus, the majority of your site’s content is available to your visitor at all times. The layout and navigation may be different, but the material is there on the site whenever visitors wish to access it. A responsive web design also has the advantage of having been recommended by Google. While the search engine rewards all mobile ready sites (whether friendly, responsive, or optimized), it has announced that a responsive web design is a best practice. The reason is that responsive web design only uses one URL (instead of the two required for sites with mobile optimization). Multiple URLS can make it more difficult for Google to crawl and index your site (and subsequently make it more difficult for either of your sites to enjoy search engine optimization success). In addition, a responsive web design allows users to share and interact with your content across all platforms. If someone posts a page from your mobile site onto Facebook, desktop users might have difficulty accessing it, and vice versa. Material linked from a responsive web design, however, is easily available, regardless of how it is accessed. Another advantage of a responsive web design is the seamless user experience that it provides. This experience tends to be better than that encountered on either mobile friendly or mobile optimized sites. For instance, a mobile friendly site does not adapt to make access easier on a mobile device. As a result, the user must engage in zooming, typing, and clicking that can be inconvenient and time consuming on a mobile device. Sites that are mobile optimized provide a faster, more direct user experience. However, if users want more information than is available on the site, they must go to the full site, which is also time consuming and inconvenient. Responsive web design provides the best of both worlds by making the site’s full content easily available on all devices through a single, navigable site. As far as cost goes, a responsive web design falls in the middle of the mobile ready web design options. A custom web development company can help you to get a better idea of the costs of implementing and maintaining a responsive web design. However, a responsive web site tends to be less expensive than designing a completely new site to maintain on top of your full site. In addition, the maintenance of a responsive web design usually costs no more than that of a regular website. Faced with the simplicity, flexibility, positive user experience, and other advantages that it provides, a responsive web design is generally more than worth the added expense. What are some tips for responsive web design? As with any type of web design, there are certain tips and best practices that impact the performance of a responsive website. These best practices ensure that the website your visitors encounter is navigable and welcoming regardless of the device used to access it. Following are a few tips for creating a responsive web design. Use the mobile first approach. When you create a responsive web design, you will need to create a layout for each type of device visitors might be using to access your site. The best strategy for doing so is called “mobile first.” This means that your site should first be designed for the mobile user, with elements and layout added for progressively larger screen sizes. The reason to go mobile first in your web design approach is to create a site that targets the mobile phone users who are quickly making up the majority of Internet searches today. Plus, a mobile first approach forces you to face the clutter on your site and eliminate it so that every stage of your responsive web design becomes more focused and streamlined. Include every screen size in your design. 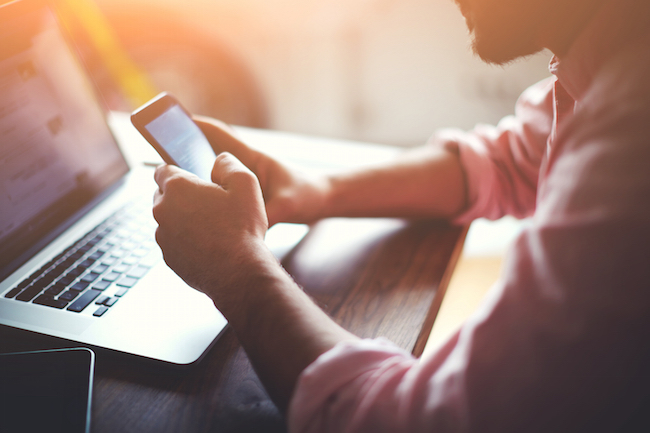 While your site should be designed with mobile first in mind, you should never stop there. People are now using an array of electronic devices (and sometimes use multiple devices to complete a single purchase). As a result, your responsive website must provide an equally accessible and pleasing experience for all devices. Doing so requires you to consider all screen sizes, from small mobile phones to oversized desktop monitors. In addition, your web development company should create a fluid design that adapts itself automatically to the numerous and ever-changing screen sizes out there (rather than creating a rigid design that might not adapt to a new or unusual screen size). Allow content and layout to be dictated by the device. People’s website needs change depending upon the device they are using. For instance, someone using a mobile phone is likely looking for information to make a quick decision (i.e. looking for directions, contact information, a last-minute purchase). On the other hand, that same person is likely to use a desktop computer for more in-depth searches (i.e. research, looking into items they might not buy right away, reading blog articles). As a result, screen size should not be the only factor dictating the content and layout you make available on each device. On a mobile device, you may need to prioritize your store locator or search button, or information that helps the visitor to make a purchasing decision. On a desktop computer, you may be able to prioritize your blog content or other, longer-form content for users who want more in-depth information. Your web development company can help you to look at all of your content and decide what is most important and useful for each type of device. Just as your content strategy needs to adjust for each device, so does your navigation. For instance, mobile device users are going to want navigation that minimizes the amount of scrolling and typing they have to do. This means you need a simplified navigation and fewer clicks between your homepage and the rest of your content. Desktop users, however, will be able to handle a more complex navigation and more clicks. Plus, their larger screen sizes will require a different navigation than will a mobile phone. Creating a scalable navigation that optimizes the experience regardless of the device your visitors are using will lead to the pleasing user experience that characterizes effective responsive web design. Finally, you will need to take steps to create a responsive web design that loads as quickly as possible. With average load times at 4 seconds, responsive websites tend to be a little slower than other sites. With today’s website users expecting almost-instant page loads, you will need to take steps to increase your load speeds for visitors. This means reducing your image sizes so they take less time to load. It may also mean taking other steps that your web development company can suggest in order to streamline your site. Creating a responsive web design for your site is important if you wish to reach the many potential customers who are using mobile devices to conduct their Internet searches. Unless your custom web development company tells you otherwise, it is also likely to be the most effective choice for your website, thanks to its simplicity, flexibility, Google friendliness, and great user experience. By using best practices (such as using scalable navigation, reducing your image size, taking user needs into consideration, and more), you, with the help of your web development or web design company, can create a site that is appealing and easy to use on any device. The result should be more leads, more sales, better search engine optimization, and simpler, more affordable maintenance. Looking to make your site mobile responsive? Contact us for a quote today.